Field Operations software for environmental services. 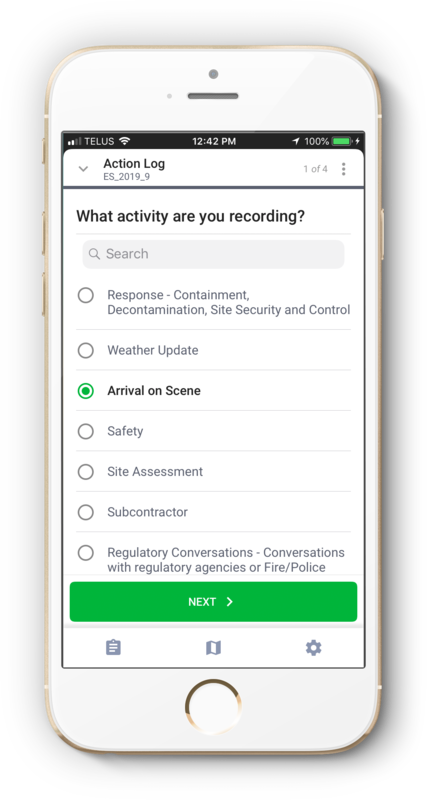 Lightship lets you maintain clear communication with your field crews, monitor employee check-ins & personal alarms, and create custom data capture forms for environmental site assessments, spill/hazard reporting, and more. 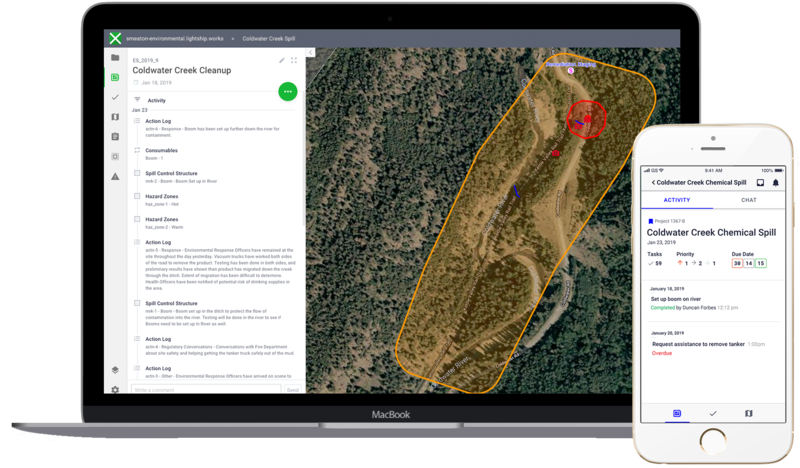 “Lightship is a simple, practical solution that enables us to give our clients unparallelled visibility of response and remediation activities that we undertake on their behalf”. ﻿Why use Lightship for environmental services? Flexible employee check-ins, real-time GPS tracking of personnel, and alarms (eg. missed check-in, personal distress, fire) with custom response and notification procedures enable you to ensure the safest working environment for your staff. 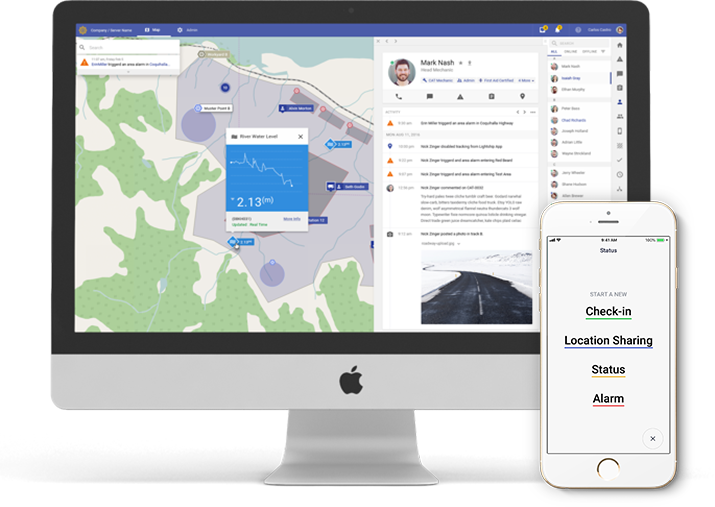 Live updates including the location of equipment/personnel and mobile form submissions (Android/iOS) with text, photos and other media allow you to monitor project/incident progress and relay information to your clients or supporting agencies in a timely fashion. Our map-based dashboard provides a unified project view, including infrastructure data, personnel, and tasks. View relevant considerations, set priorities for outstanding tasks, and coordinate progress with powerful communication tools. Know what is happening on-site. Ensure the safety of your staff. Field employees can be prompted to check in on specified intervals while they are in the field. If a check-in is missed, specific individuals or groups will be instantly notified via SMS, email, or phone and can initiate a response accordingly. Get a complete overview of your team. 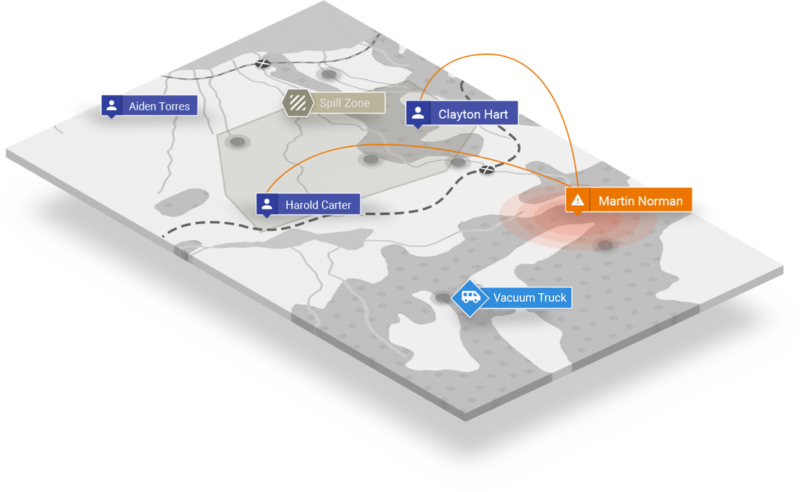 Field crews can choose to share their real-time location, which makes them visible on Lightship’s map-based interface. Preset end times can be configured by each employee to automatically stop location sharing when they’re done their shift. Unify communications for teams and tasks. Call or text with other employees using auto-generated conversation channels for individual teams and tasks. Clarify task details and coordinate activity in a clear, documented way. Let us show you how Lightship can streamline your environmental field operations.